MECON Limited Recruitment 2019 - Job notification for Walk in for Assistant Chief Controller Posts in MECON Limited, Tamil Nadu on Contract Basis. Applications are invited by MECON Limited on or before 09 Mar 2019 for 3 vacancies. 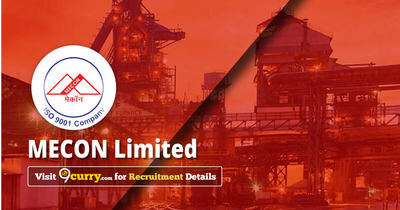 Degree / Diploma in Engineering with minimum 10 years of Railway / Metro Rail operations experience. Eligible candidates may send their application in prescribed format (attached below) to Chennai Metro Rail Limited, CMRL Depot, Admin Building, Poonamallee High Road, Koyambedu, Chennai - 600 107 on or before 09 Mar 2019, along with Bio-Data and one set of self-attested copies of certificate of educational qualifications, experience, age, community and latest passport size photograph. 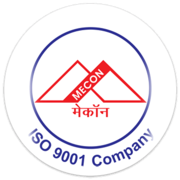 MECON Limited Recruitment 2019 - Apply Online/ Offline for Director (Commercial) Post in MECON Limited, Jharkhand on Absorption. Online Applications are invited by MECON Limited from 18 Feb 2019 to 23 Apr 2019 till 03:00 PM for 1 vacancy.